Of course, I’m biased. Who isn’t? The skull-crushing exam for which I am supposed to be productibaking is a whopping 90 days away, in the gloom of which I am packing, applying for fellowships, trying not to lose it as my parents pack for me, studying, unpacking, repacking, despairing, and then making like a really badly-done Loreal commercial: rinse, lather, repeat. Oh, and my mom thinks I’ve officially gone insane with the amount of baking I’m doing these days. This may or may not be an accurate reflection of my mental well-being right now, but somehow the holidays don’t sound quite as cheery when you’re belting out “DECK THE HALLS WITH BOUGHS OF CRAZY” at the top of your voice. So. For the next 90 days or so, I may not be posting quite as much as I’d like to–but this may or may not be better for all of us. I’m not sure the internet needs another resident village idiot who spends her spare what-in-holy-heck-is-spare-time watching and reposting adorable baby animal memes like this Ocelot/Ocelittle and ridiculous Frozen gifs like this one (which just makes me hungry for pizza and other things I shouldn’t be eating right now, or so my post-Christmas thighs tell me). Or totally overthinking the fact that I am definitely the person sitting at the top of the seesaw in my precarious email correspondences of unequal power dynamics. 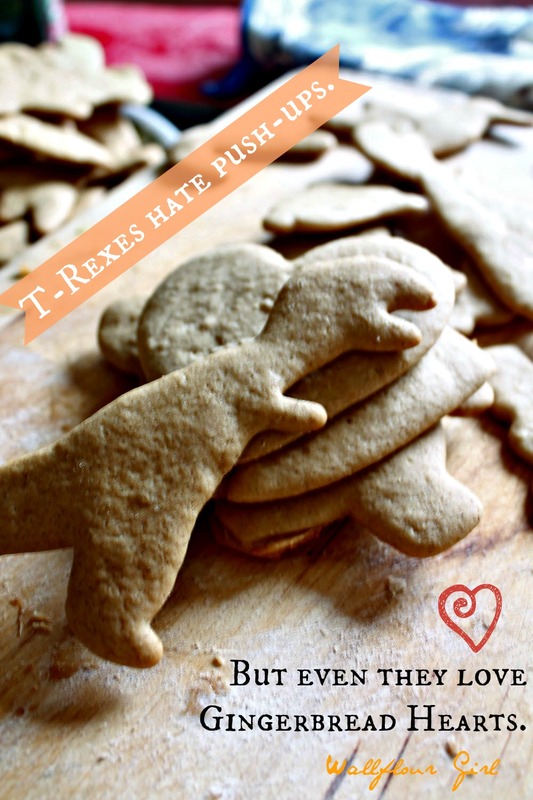 What I really need right now is a giant T-Rex who will love me. And then one of these amazingly easy, no-molasses gingerbread cookies to remind me that every day deserves to be a holiday. I never keep molasses around the house, plain and simple. I don’t know what it is about molasses that scares me. I mean, it doesn’t scare me. But I never grew up with it, and I’ve never seen any reason to buy an entire whopping jug just so I can make gingerbread cookies one time throughout the year. If you’re like me and don’t hang around with the slowpokes (molasses–get it? ), or if you’ve just happen to run out of molasses this season after going on a gingerbread house making binge: no problem. 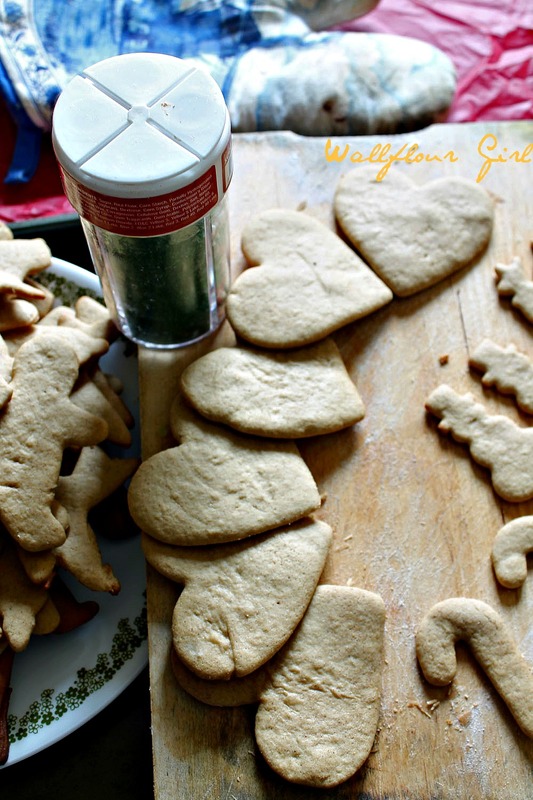 These should really be called no-problem gingerbread cookies because they are so forgiving, even a kitchen novice can make professional-looking and tasting cutout cookies that you can decorate with friends & family into the wee hours of 2014. The secret? Instant butterscotch pudding mix. Wait! If you don’t have that and don’t want to run to the store, you can whip up your own using a few simple ingredients (such as brown sugar, white sugar, cornstarch, and dry milk powder) that you’ll probably have hanging around your cheery cabinets anyway. Didn’t I tell you these were no-problemo wonder cookies? 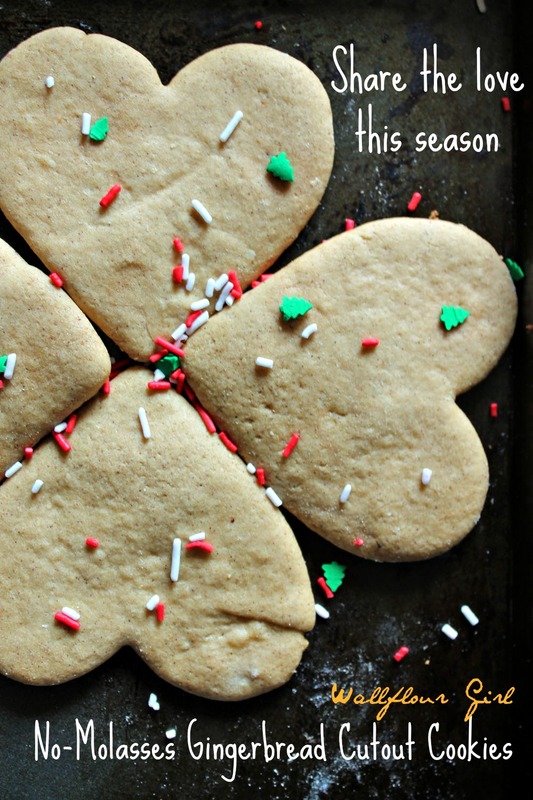 So whether you’re singing full harmony this season or battling the holiday existentialism blues like I am, these cookies are an easy must-make solution you won’t want to miss. Happy holidays to all, and to all a great cookie coma! * Note: For a DIY alternative to instant butterscotch pudding mix, use 1/4 cup brown sugar, 1 tablespoon white sugar, 2 tablespoons corn starch, 1 1/2 tablespoons nonfat dry milk powder, and a tiny pinch of salt. Combine these ingredients in a medium bowl and set aside to use in place of butterscotch pudding mix. In a large mixing bowl, cream together softened butter and brown sugar until smooth. Stir in butterscotch pudding mix OR the DIY alternative (see Note above). Mix in egg. Add remaining dry ingredients (flour, baking soda, ginger, and cinnamon) and mix in until just incorporated. Wrap dough in plastic wrap and chill in refrigerator for at least one hour, until firm enough to roll out easily. You can also toss it in the freezer for 20 minutes to speed up this process. Preheat oven to 350 degrees F. Lightly grease cookie sheets and set aside. Break off 1/4 of the dough and place it on a well-floured cutting board. Return the rest to the refrigerator so that it does not soften too much in the meantime. Using a floured rolling pin, roll out dough until it is fairly thin, about 1/8-inch thin. Cut out shapes using cookie cutter and carefully transfer to prepared sheet. Repeat and continue this process until you have used all of your dough, or run out of room on cookie sheets. Bake cookies in preheated oven for 10 to 12 minutes, or until they turn golden brown on the bottom and are pretty firm. Remove from oven and allow to cool completely before serving, icing, or decorating as creatively as you’d like! Thanks, and thanks for reading–happy new year! Fun cookies! We do keep molasses around, although we rarely use it. I guess we could always make rum out of it. 😉 Fun post – thanks.